The plasma membrane is an important cellular organ that perceives incoming developmental and environmental signals and integrates these signals into cellular regulatory mechanisms. It also acts as a barrier against unfavorable extracellular factors to maintain cell viability. Despite its importance for cell viability, molecular components determining cell viability and underlying mechanisms are largely unknown. Here, we show that a plasma membrane-localized MtN3 protein SAG29 regulates cell viability under high salinity in Arabidopsis. The SAG29 gene is expressed primarily in senescing plant tissues. It is induced by osmotic stresses via an abscisic acid-dependent pathway. Whereas the SAG29-overexpressing transgenic plants (35S:SAG29) exhibited an accelerated senescence and were hypersensitive to salt stress, the SAG29-deficient mutants were less sensitive to high salinity. Consistent with this, the 35S:SAG29 transgenic plants showed reduced cell viability in the roots under normal growth condition. In contrast, cell viability in the SAG29-deficient mutant roots was indistinguishable from that in the roots of control plants. Notably, the mutant roots exhibited enhanced cell viability under high salinity. Our observations indicate that the senescence-associated SAG29 protein is associated with cell viability under high salinity and other osmotic stress conditions. We propose that the SAG29 protein may serve as a molecular link that integrates environmental stress responses into senescing process. The online version of this article (doi: 10.1007/s00425-010-1293-8) contains supplementary material, which is available to authorized users. 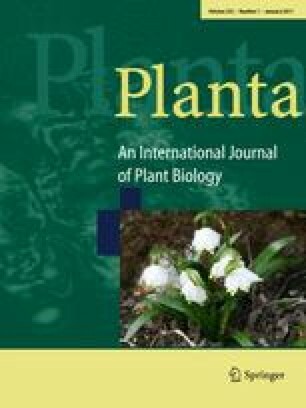 This work was supported by the Biogreen 21 (20080401034001) and National Research Laboratory Programs and by grants from the Plant Signaling Network Research Center (2010-0001453), the National Research Foundation of Korea (2007-03415 and 20090087317), and from the Agricultural R&D Promotion Center (309017-5), Korea Ministry for Food, Agriculture, Forestry and Fisheries.